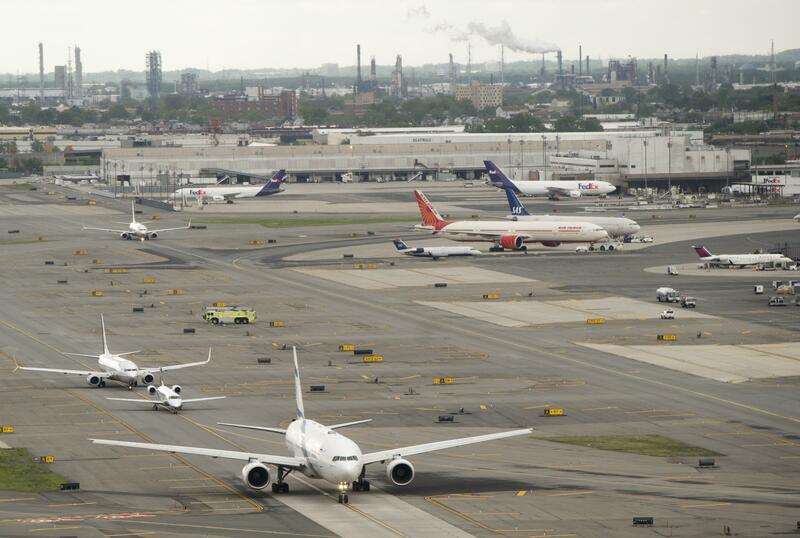 NEW YORK -- Police have given the all-clear at a terminal at Newark Liberty International Airport after police evacuated portions of the terminal over a pressure cooker found on site. The Port Authority Police Department said a suspicious package was discovered on level 3 of Terminal A, the regional terminal for United Airlines. Newark International is one of the busiest transit hubs in the country. Police said a partial evacuation had been completed and the Essex County bomb squad was responding. K-9 units and local police were also on the scene. The Port Authority said the package had been cleared shortly after 6 p.m. ET. Package has been cleared by authorities at Terminal A at Newark Liberty Airport. Passengers should expect some residual delays. When Jchandra Brown's body was found in the woods of Utah, authorities thought they were investigating a suicide. CBS News correspondent David Begnaud describes how authorities soon discovered there was a lot more to the story. Watch the new "48 Hours" episode, "A Death in Payson Canyon," on Saturday night at 10/9c on CBS.